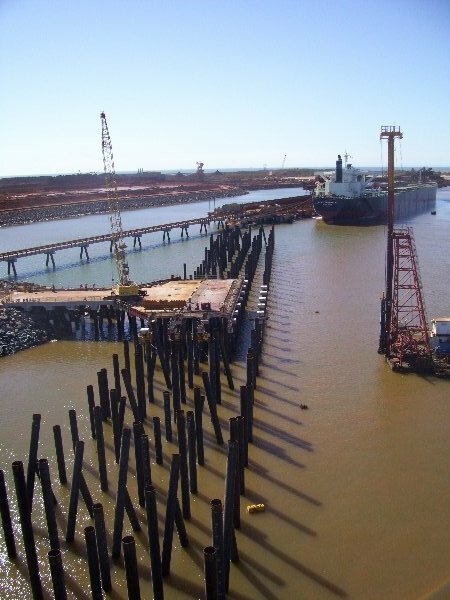 The CADS team provided surveying services to Marine and Civil for the construction of the Utah Point Berth Project – a multi-user public wharf facility at Port Hedland, Western Australia. 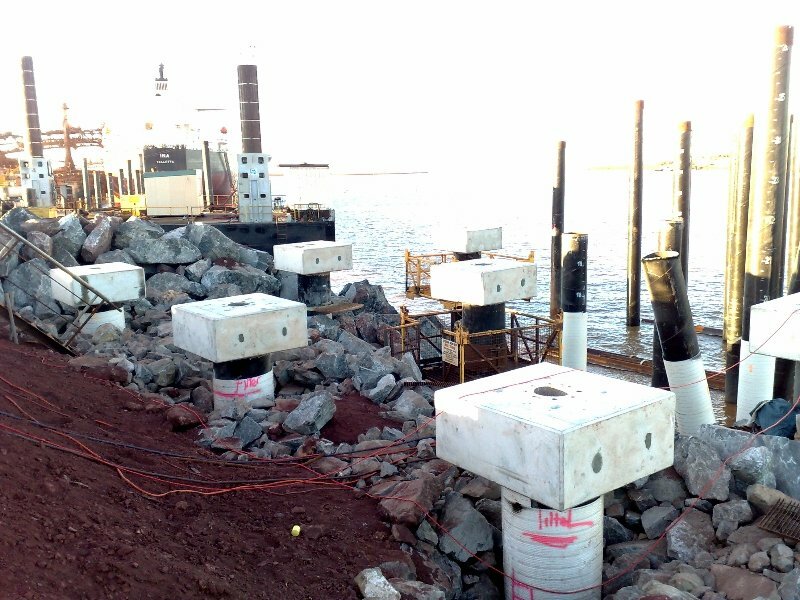 The construction of the 272-metre long wharf, accessed from Finucane Island, involved the driving of 323 piles with precast concrete caps and soffit decking panels, tied together with an insitu concrete topping. The wharf is comprised of approximately 2,500-tonnes of steel piles, 6,000m³ of concrete, and a further 600-tonnes of fabricated fender support steelwork. 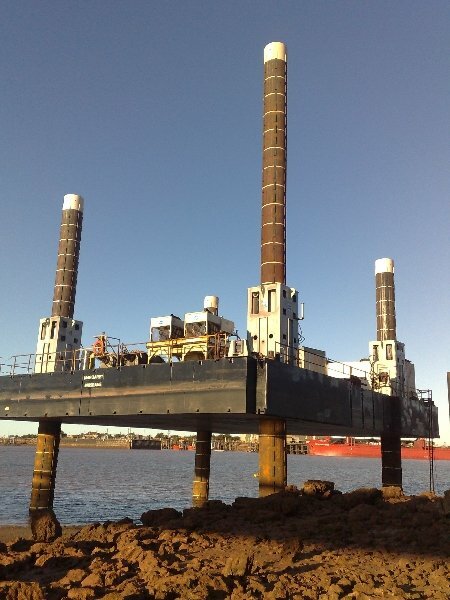 Duties included setting up barges for piling and drilling of piles, and all other associated construction works for the concrete deck, fenders, rail, and precast yard.